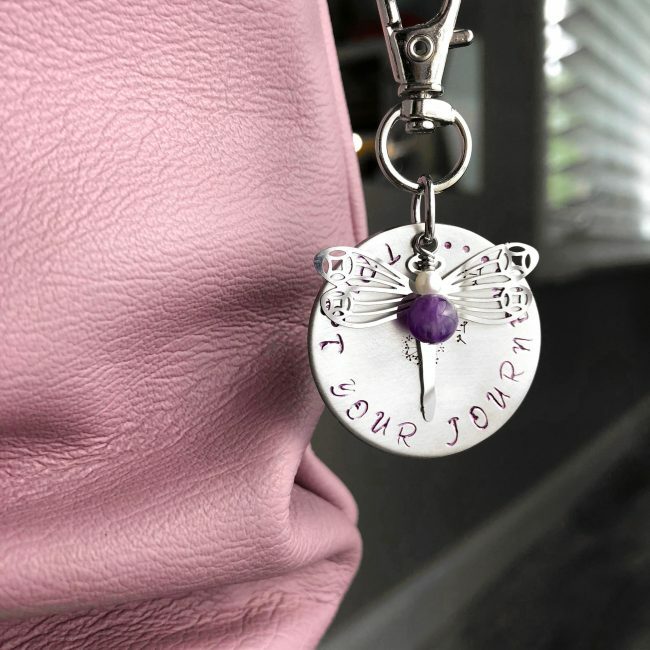 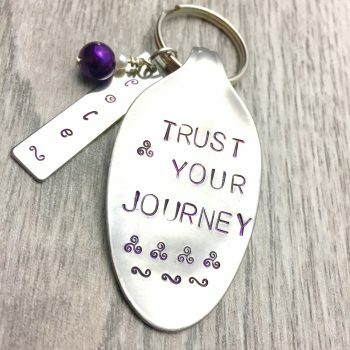 Hand stamped “Trust Your Journey” keychain/zipper/bag pull garnished with hand wrapped amethyst beading and a shiny dragonfly. 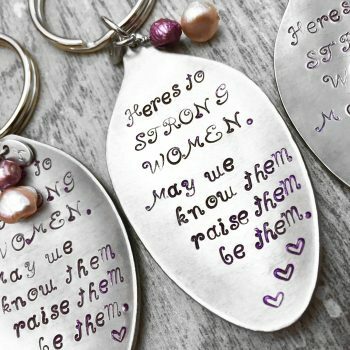 Great for your keychain, gym bag or as a zipper pull. 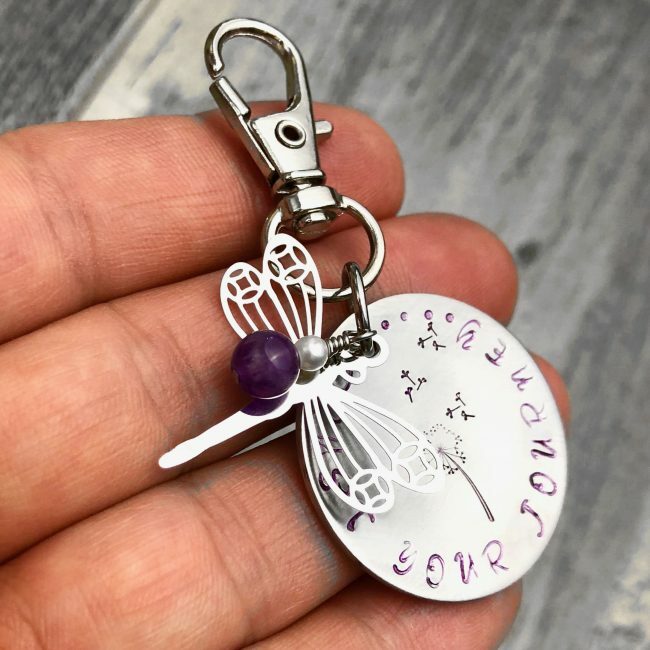 Round measures 1 1/8 inch plus lobster claw clasp.